The client, Andronikos hotels along with Klab architecture, collaborated to build yet another hotel in Santorini. A 70s private residence was transformed into a luxurious suites villas. Above the volcano caldera and the famous rock “Skaros” Klab architecture had to accommodate the needs of the new hotel in the existing three story building. 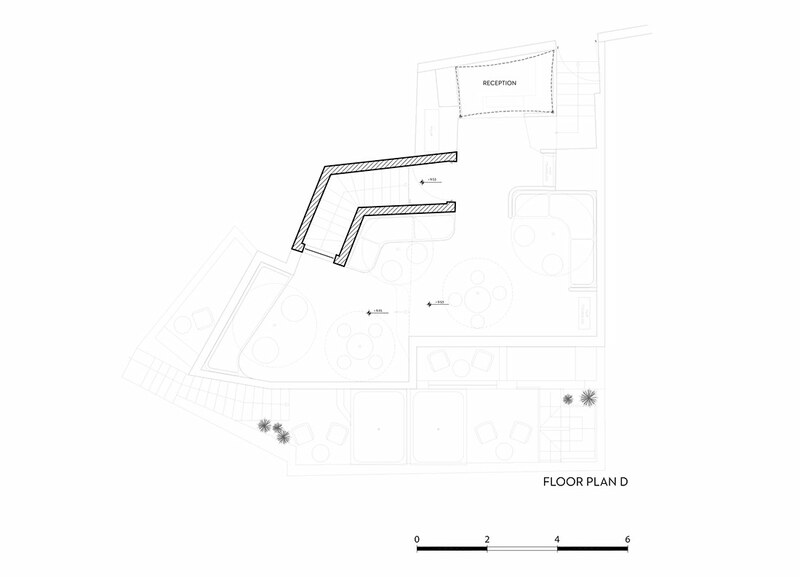 The main idea about the design of the six suites and the sky bar was to create a modern interpretation of the cave,a feature of vernacular houses in the island. New vaults, arches and curved edges revive the traditional aura. 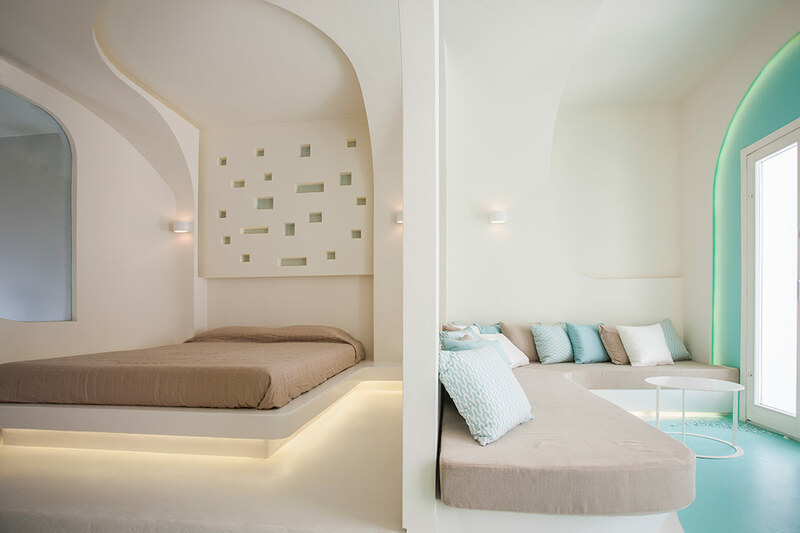 Shades of concrete were used for the floors and bathrooms, while the headboards and doors ofthe wardrobes were designed with internal light in a pattern that was inspired by traditional patterns of Santorini. The furniture was custom built to act in accordance with the following curves. In the synthetic succesion of parallel vaulted spaces, curved mirrors multiplied the sculpture of space. Suites were designed with private entrances subtracting the main indoor staircase between floors in order to gain space, but adding exterior stairs for entering the suites of the first floor. Privacy and 180 degrees of incredible view even form inside was succeeded by elevating the bed area and opening new windows.